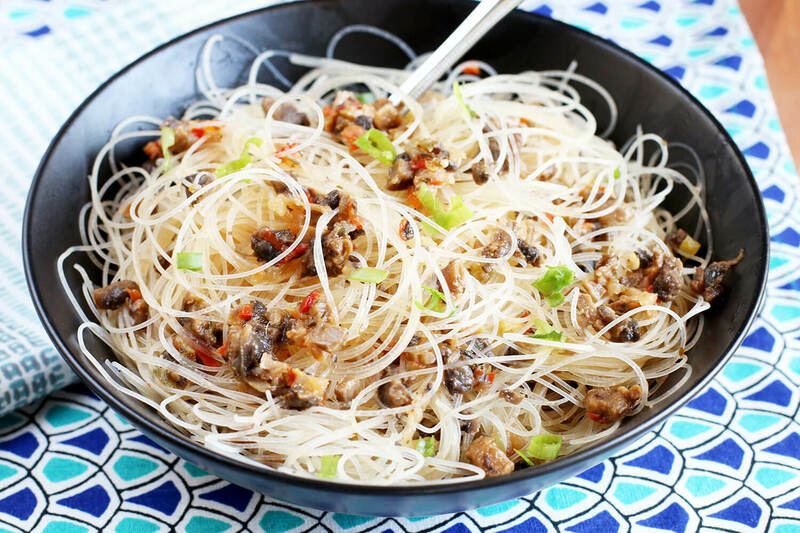 In a large bowl filled with boiling water, add vermicelli noodles. Let rest for 15 minutes until the noodles are soft and cooked through. Rinse and set aside. While the noodles are cooking, combine soy sauce, garlic, vinegar and olive oil in a large bowl. Add rinsed pasta to the bowl with the sauce and toss to coat. In a medium saucepan, add Coconut Thai BLENDABELLA. Cook until warmed through completely. Add warmed BLENDABELLA to the dressed noodles and toss to combine. Add green onion and stir to combine. Serve immediately.